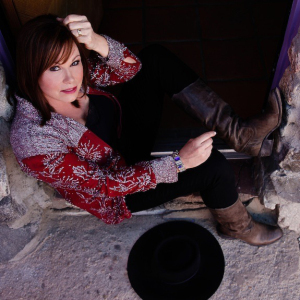 While a formidable country songwriter and arranger in her own right, Suzy Bogguss’ voice is the centerpiece of her sonic offering. Anyone who’s heard it once will immediately recognize it on a subsequent listen—heartfelt and pitch-perfect, with just a touch of lonesome smoke. Suzy’s been in the game a while, now, having scored a string of top ten singles in the 90s, including “Outbound Plane,” “Drive South,” “Hey Cinderella,” “Letting Go” and, most notably, “Aces,” The title track of her platinum-selling 1991 album. All told, three of her albums have raked in gold album status, and to date she’s moved a total of three million copies and taken home awards from the CMA, ACM, and the Grammys. She’s not one to hang up her hat on such accomplishments—nowadays, Suzy plays a lot of shows, and somehow finds the time to run her own label, Loyal Dutchess—which has allowed her complete creative freedom and ownership of her material. Her latest full-length, Lucky, illustrates the benefits of having set out on her own. Lucky finds Suzy reinterpreting classics from none other than Merle Haggard. The admittedly sparse, acoustic instrumentation allows Suzy’s aforementioned voice—and the stories it tells—to drive the entire record. And as anyone who’s listened to Merle Haggard knows, the story is what matters most. Suzy’s Nimbit store is packed with no fewer than nine full-length records, including a Christmas album and a greatest hits compilation. She’s also taking advantage of the platform’s Calendar feature, and from the looks of things she’s pretty booked up through late April. If she rolls through your town, she is not to be missed. Click here to keep up with Suzy on Nimbit. Interested in Nimbit? Sign up for free here. Well, Mark Williams is back from Chicago, and is pleased to report that The Cold Waves music festival was a smashing success. The show was attended by nearly 2,000 people, and thousands of dollars were raised for Hope for the Day, a non-profit movement dedicated to utilizing music and the arts as a defense mechanism to suicide. Mark recorded the entire show via the new StudioLive RM32AI, and the recordings have been mixed and polished by Jason Novak and sound great. They’re now available for purchase on Nimbit! All told, there are 12 full sets to choose from, broken down by artist, and there’s also a compilation CD featuring songs from all involved, and Cold Waves t-shirts up for grabs. You can also click here to get the 4-song Cold Waves sampler promo, absolutely free! Proceeds from the Nimbit sales of the show’s recordings will also be going to benefit Hope for the Day. These are exclusive, can’t-get-’em-anywhere-else-not-even-Bitorrent tracks! You can get any track for $0.99, the price for a band’s entire performance is relative to the length of their set, but is always a better deal than buying each track individually. We’re not done with Cold Waves just yet, by the way. We’re in the process of editing together the whopping 60 gigs of video Mark brought back from Chicago, which includes interviews, live performances, and I imagine a surprise or two. Stay tuned! Click here to keep up with Cold Waves on Nimbit. International Sales Director of Mystery Mark Williams just got back from an incredibly successful trip to Chicago, where he and Martin Atkins hosted a PreSonus Riff to Release clinic focusing on production in Studio One and Nimbit, and followed it up by attending—and recording—the Cold Waves Music Festival, which included Front 242, Fear Factory, Die Krupps, and many more stalwart ambassadors of rivethead culture. More on that in this blog post. The three-hour Riff-to-Release clinic at SAE Chicago boasted standing-room-only attendance—every chair was taken, and folks who didn’t show up early wound up sitting and standing in the aisles. 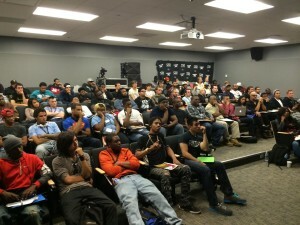 In a flash of brilliance, SAE streamed video of the presentation into a networked room nearby to accomodate the spillover. Longime PreSonus forum big dawg and bacon enthusiast Johnny Geib of Home Studio Trainer, presented with Mark on the Studio One portion of the presentation. 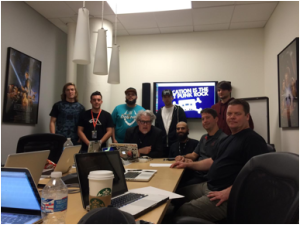 Blake Novia, a student at SAE, recorded vocals into Studio One, and Johnny and Mark produced, mixed, mastered, and released the recording on Nimbit, all within the span of the presentation. Don’t believe me? You can get the track here: http://www.nimbitmusic.com/blakenovia1. Each audience member walked away with a Studio One Artist license and a 90-day Nimbit premium account. Thanks to all who came out and helped make this happen—we should really do this again sometime. Mark shot a LOT of video on this trip—you’ll find it popping up on PreSonus’ blog and social media platforms sooner than later. Nimbit Artist of the Week: Dave Coffin! Dave Coffin‘s involvement in the music biz started when he was very young, potentially even prenatal—he was born into a supportive family who raised him in an environment rife with classical music, and you know what they say about kids who hear Mozart while in the womb. As Dave grew up a little, his aptitude for music was clear, and said supportive family encouraged his musical leanings by buying him a strat for his ninth birthday. Despite having been raised on the classics, Dave found himself drawn more toward mohawks than powdered wigs, and wound up cutting his musical teeth on punk rock. While his parents may not have been able to sway him from Green Day, Dave Matthews (yes, that Dave Matthews) did. After hearing the siren song of DMB, Coffin cashed in the strat and amp for a Martin, and the rest is history. 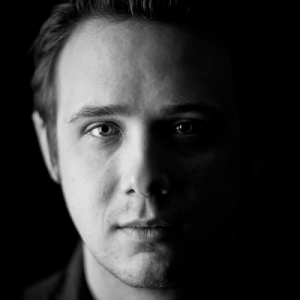 He wrote and recorded acoustically for six years before pulling up stakes from Maine and shipping up to Boston for college, where he majored in Ellis Paul with a minor in Patty Griffin. Dave’s Nimbit store offers two four-song EPs and the 2010 full-length, The King is Dead. The Dave is alive, fortunately, and so are many of his session-player friends, who joined him in the studio to make their mark on Dead, and it sounds great as a result. Dave’s earnest performance, songs, and sincerity probably helped a lot, too. Give it a close listen, and you may well be able to hear a streak of politically-charged punk rock attitude here—buried quietly somewhere in the songwriter’s heart, and no longer worn on a safety-pinned sleeve. Click here to keep up with Dave on Nimbit. The Cold Waves music festival is a nonprofit event held in Chicago to raise money for the Hope for the Day, a non-profit movement dedicated to utilizing music and the arts as a defense mechanism to suicide. This years’ event just concluded, with stellar performances from Front 242, Fear Factory, Die Krupps, and many more. The event was a smash success, with over 2,000 attendees at the festival over two days, including over 100 musicians from all over the planet. Mark Williams recorded the entire show on the new StudioLive RM32AI—the bulk of the recordings are being mixed as I type this, but for now you can click here to get the 4-song Cold Waves sampler promo, absolutely free! Rest assured that more will be up and available on Nimbit very soon, where sales will go to benefit Hope for the Day. We’ll let you know when that happens. PreSonus donated some gear for Cold Waves’ silent auction, including two AudioBox Studios, two pairs of Eris 4.5 Monitors, one pair of Sceptre S6 monitors, three Temblor T10 subwoofers, four copies of Studio One Professional, some of which were autographed by the festival’s performers. Like Nimbit, Kid Pan Alley is all about empowering people through music. But unlike Nimbit, Kid Pan Alley is quite an analog affair, and targeted to a suitably younger demographic evocative of the outfit’s name. KPA was founded some 14 years ago by Paul Reisler. His vision is to instill musical creativity, teamwork, and confidence in folks by getting them rolling early—while they’re still impressionable youngsters. It’s working—and it’s not just kids who are taking notice. To date, the organization has fostered 2,500 original songs that have been performed by over 35,000 children. Some KPA projects have included world-renouned artists including Delbert McClinton, Sissy Spacek, Cracker, Amy Grant, Kix Brooks, Raul Malo, Suzy Bogguss, the Nashville Chamber Orchestra—and the organization sports recognition in the way of Parents’ Choice and NAPPA Gold awards, 6 ASCAP Foundation awards and a Grammy nom. This recognition and growth is due in no small part to the key element that that separates Kid Pan Alley from a lot of other youth music programs: the children are writing their own songs. Paul finds that kids are better collaborators than most adults—perhaps because they’ve yet to “develop” the sort of ego and self-importance we associate with a lot of adults; creatively, kids’ malleable brains are not yet bound by the rules-based blinders of adulthood. These children are encouraged to produce in an off-the-cuff, fun spirit—and even quieter kids are seen to light up like Christmas trees at the opportunity to contribute to a song. KPA’s Nimbit store offers collected works from no less than 13 region-specific Kid Pan Alley residencies, as well as four collections, including the Grammy-nominated Kid Pan Alley Nashville, and the perhaps misleadingly-titled Unreleased Favorites. Kid Pan Alley is Kids’ music, by and for kids—and once you’ve heard it, you may begin to feel that there’s something a little sideways about the notion of children’s music being written by adults. Interested in getting Kid Pan Alley rolling in your neighborhood? Click here. Click here to keep up with Kid Pan Alley on Nimbit. It’s been a good couple years for Boston’s Adam Ezra Group. They’ve successfully engineered a brand of country rock that is simultaneously rootsy and forward-thinking. 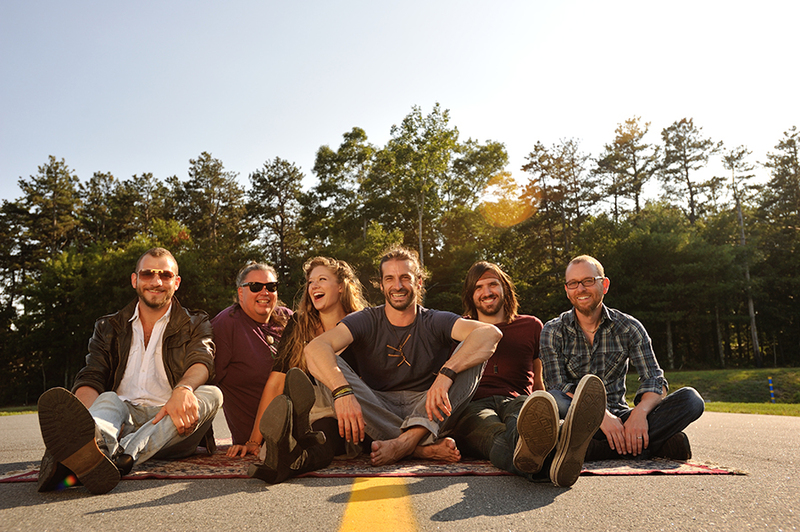 The formula is paying off, as the band were the worthy recipients of the 2013 New England Music Awards “Band of the year,” and also earned “Album of the Year” and “Song of the Year” from the same committee in 2012. Ezra and his six-piece Group are the kind of guys who are more than just pro musicians. They’re the sort of rare-blood all-or-nothing types who truly believe in music as a force for change. 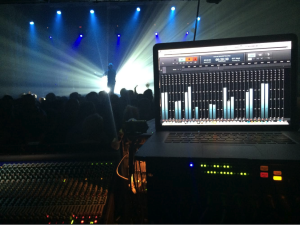 That’s well in-line with what we’re about here at PreSonus and Nimbit—so, hats off, guys. When not touring and recording, all of the guys are activists and community leaders, whose efforts include volunteering for relief effort in Kosovo and practicing environmental geography in South Africa. While they’ve demonstrated a reliable and consistent recording output—ten full-length albums since 2000—at the end of the day, Adam Ezra Group is all about the live experience. Their impassioned performances have drawn deserved comparison to guys like Bruce Springsteen, and have found them touring in quite good company: Rusted Root, Jason Mraz, Goo Goo Dolls, Blues Traveler, Los Lobos, and Dwight Yoakam, to name a handful. AEG is currently touring with a StudioLive 24.4.2 and recording their live shows for release, so when you see them live be sure to scream real loud so that you can hear yourself when the recordings are released! From a marketing perspective, Adam Ezra Group’s Nimbit store is full of good stuff—their offering includes four full-length releases and a couple singles. But they really shine in the merch department, including nearly a full wardrobe of Ramble-themed apparel. One notable non-wearable offering: custom purple beer coozies! In terms of non-Ramble Adam Ezra merch, there are no fewer than nine custom t-shirt choices available, stickers, and my personal favorite—AEG temporary tattoos! Furthermore, they’ve got their concert calendar kept completely up-to-date, so give it a gander and see when you can catch Adam Ezra Group when they roll through your town—looks like they’ve got a handful of east coast shows booked at the time of this writing. Keep up with Adam Ezra Group on Nimbit here. 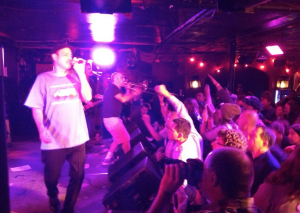 Ska is one of those musical forms that, like surf rock, relies heavily on a fairly strict set of rules. 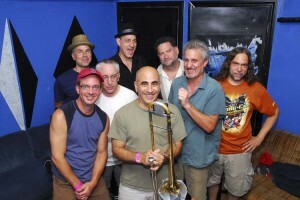 It’s difficult to stray to far from the established formula and still sound like a ska band. Get too far off, and it’s not ska anymore. Play it safe, and you sound just like everybody else. I tell ya, it’s hard out here for a rude boy. But Bim Skala Bim, formed in Boston in 1983, has managed to avoid either pitfall entirely, by adding a modicum of rock ‘n’ roll and—perhaps surprisingly, calypso—to their two-tone infrastructure. The result? I dunno. Call it four-tone, maybe. But whatever it is, the guys must really love it, as they’ve been at it for 31 years. In that time they’ve toured with homies The Mighty Mighty Bosstones and Dropkick Murphys, and dropped nine full-length albums, most of which are available on Nimbit. Oh, and it’s not just the band that loves what they do. Bim Skala Bim was a major force in launching third wave ska in the first place—or was it the third place—and about million bands followed their lead well into the 1990s. Furthermore, hometown pride is strong in The City of Champions, and they’ve decorated BSB liberally with no fewer than 10 Boston Music Awards and eight Boston Phoenix Reader’s Poll awards, and they’ve been recognized by Boston Magazine’s “Best of Boston” twice. In March of 2013, Boston Business Journal rated Bim Skala Bim’s Bones as album #19 in their “Boston Top 40 Albums of All Time” list. Their Nimbit store is full to the brim of albums dating back to their early days, and also includes a rarities compilation and a few singles. Perhaps most notable is 2013’s Chet’s Last Call, featuring the band’s original lineup revisiting the roots that got the band—and a lot of fans–skanking in the first place. Click here to keep up with Bim Skala Bim on Nimbit. Nimbit Artist of the Week: Bim Skala Bim! Nimbit Artist of the Week: Kid Pan Alley! Nimbit Artist of the Week: Adam Ezra Group! A few months ago a dear friend of mine sent me a text that read ‘I have a crazy idea I want to discuss with you’. I’ve known Jeff Brown for over 15 years, and we’ve shared many stages together, traveled halfway around the world to play music, and he was the best man at my wedding. So when a text like that comes in from Jeff, I’m anxious to hear what he has to say. With me, the crazier the better. Jeff explained his idea to me. He wanted to have musicians come over and jam. Just jam, with no prewritten tunes, no egos, and no boundaries. He wanted the players to inspire each other and stretch out past their usual gigs and comfort zones. Nashville is a hotbed of activity right now with musicians migrating to town from LA and New York, and from all genres of music. Jeff thought it would be cool to have all these different cats come in and play, record the whole thing, and edit the video into webisodes. The logistics of everything together was a slight challenge. The biggest obstacle was scheduling of the players, since all have busy touring and recording schedules. The easy part was the selection of the recording platform: Studio One Professional. I use Studio One in my setup exclusively, as does Jeff. For Players Din, we connected using two FireStudio Project units. The pres sound fantastic, and Studio One makes life simple with easy setup and editing. And for those wondering, no, there is no musical editing. When you watch and listen to the show, you get wrong notes and all. In the future there may be discussions of getting jams on Nimbit that didn’t make the web shows, to give you more material from some eclectic players. In the pilot episode, there is some huge talent joining Jeff. Tyson Rogers, Travis Vance (Thomas Rhett), and Reeves Gabrels (David Bowie, The Cure) jump in for some pretty interesting stuff. Future episodes are already being conceived, and if you want to learn more, have suggestions of musicians you’d like to see, or even jump in the mix, reach out to Jeff via his website. We’re pretty excited about this new project, and happy that the PreSonus team is with us from the beginning. Thanks to all of you for checking out Players Din, and we hope that it not only inspires you to jam and record with friends, but to remember that crazy ideas can become reality.